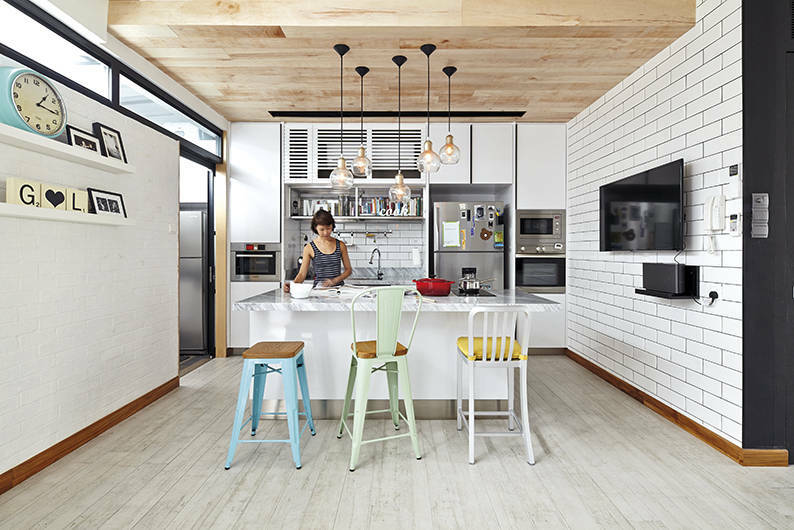 We’ve compiled some of our favourite kitchen designs – each with a kitchen island configuration – to get your creative juices flowing. 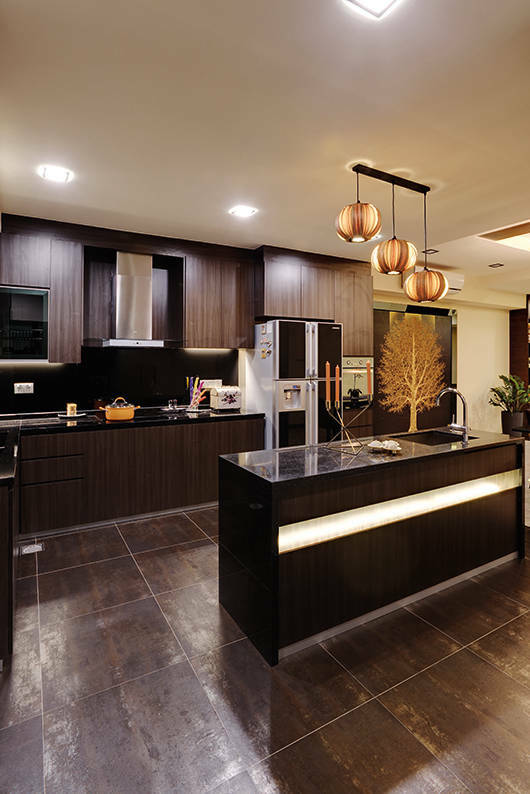 The kitchen island is, arguably, one of the dream designs most homeowners want during their renovation. 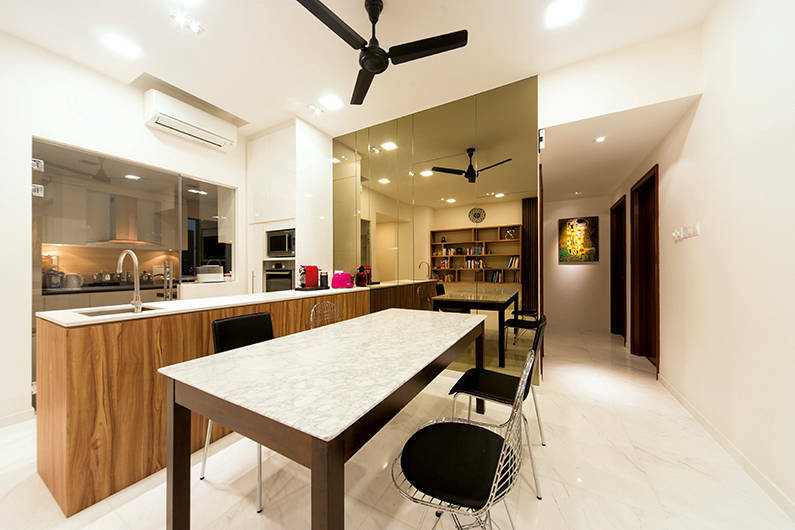 Not only does it look impressive, it’s also a very functional layout whether you’re an aspiring home chef or an occasional cook. 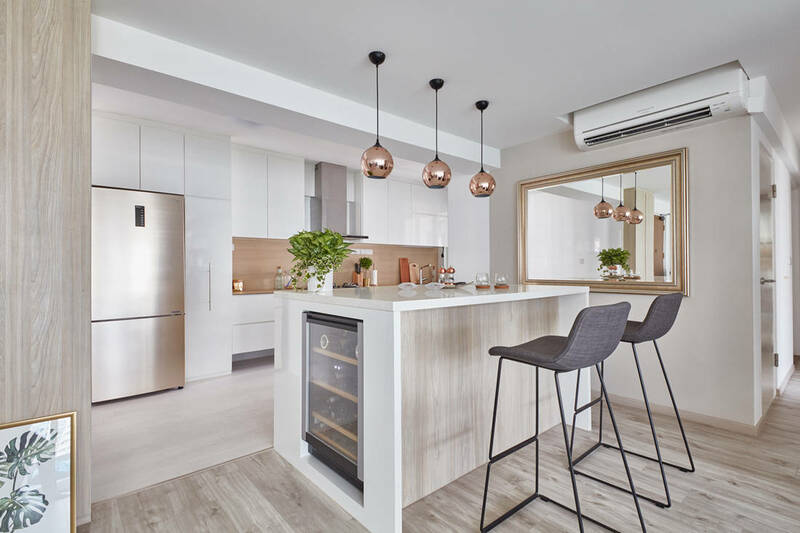 For most of us, space is a factor that prevents us from including an island in our homes, but you might be surprised to learn that there are petite apartments that have managed to squeeze out the square footage to fit an island counter. 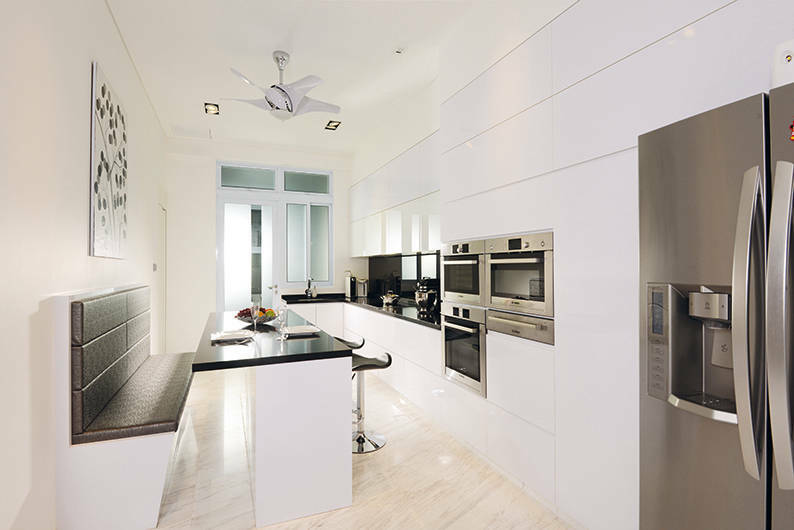 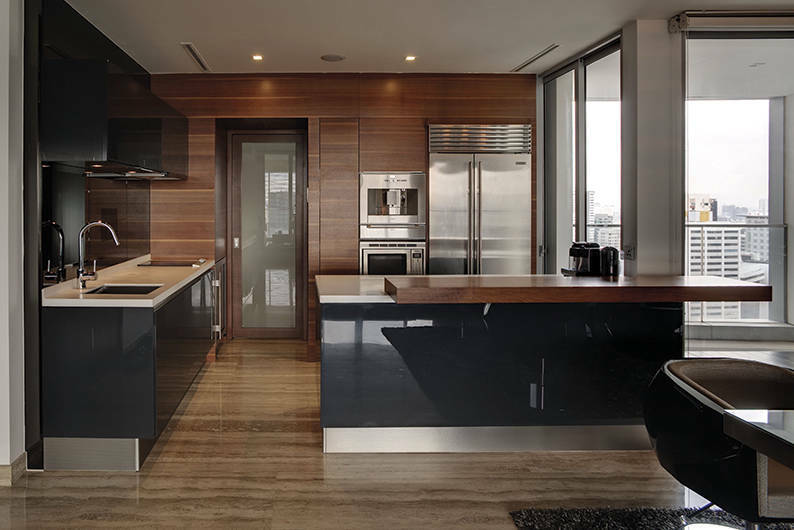 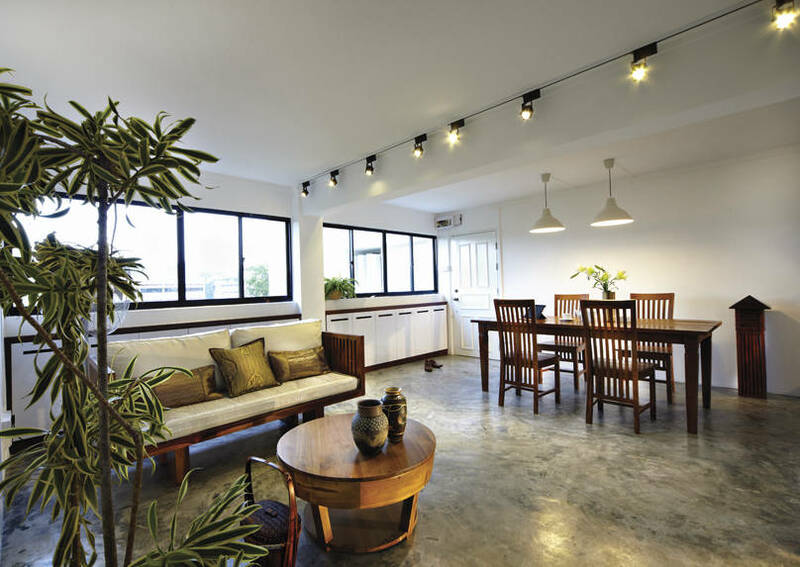 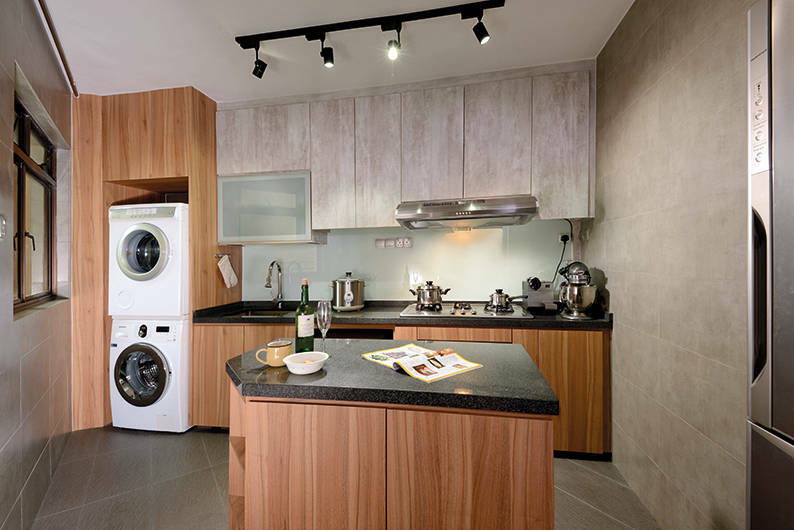 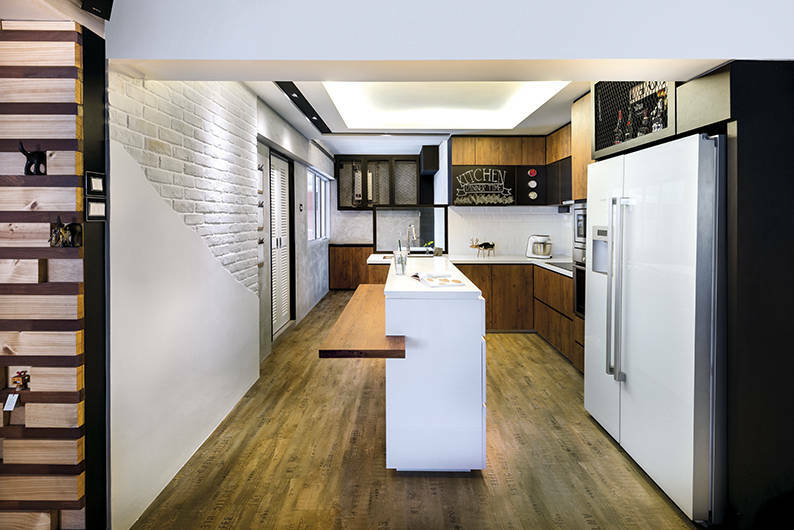 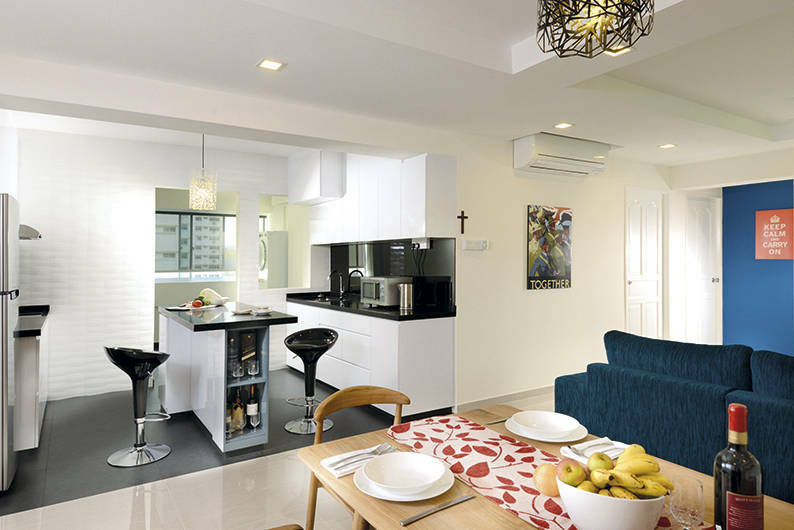 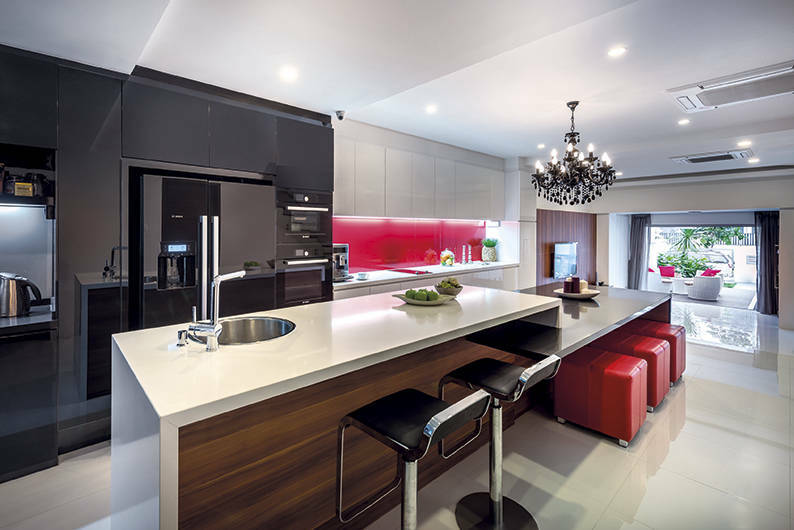 From HDB flats to condo apartments to landed houses, we pick some of Singapore’s most inspiring kitchen designs – each with an enviable kitchen island configuration – to get your creative juices flowing. 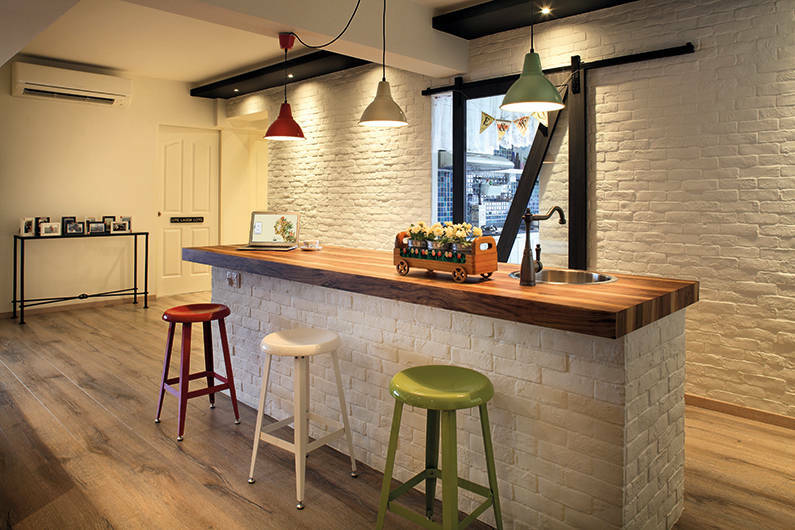 An island counter doesn’t have to be a bulky immovable object in the centre of the kitchen. 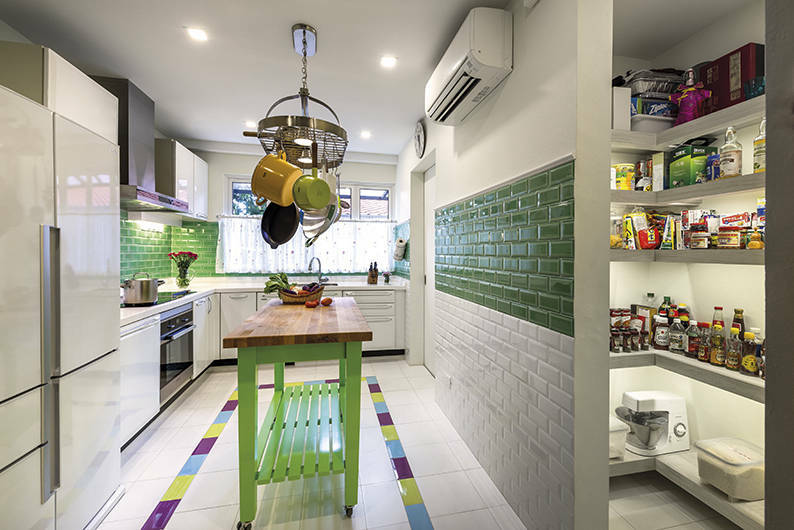 This cheery kitchen makes do with a butcher’s table that can be rolled away when the owners need more space in the kitchen. 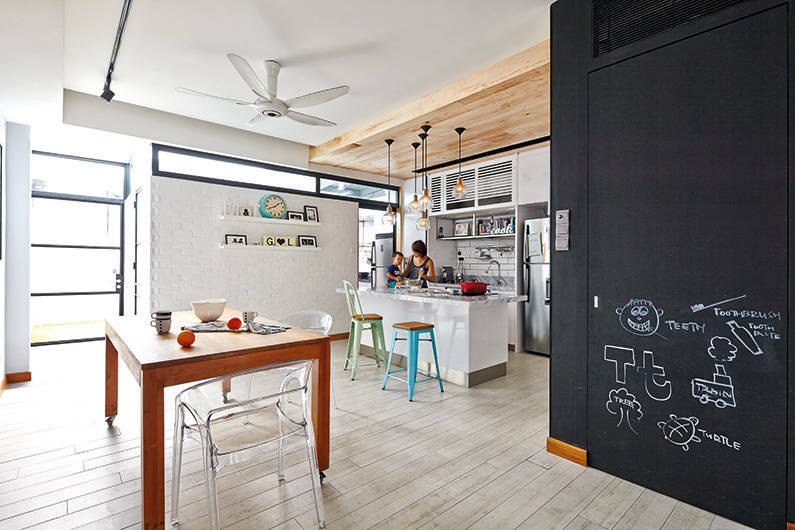 Design by Ciseern. 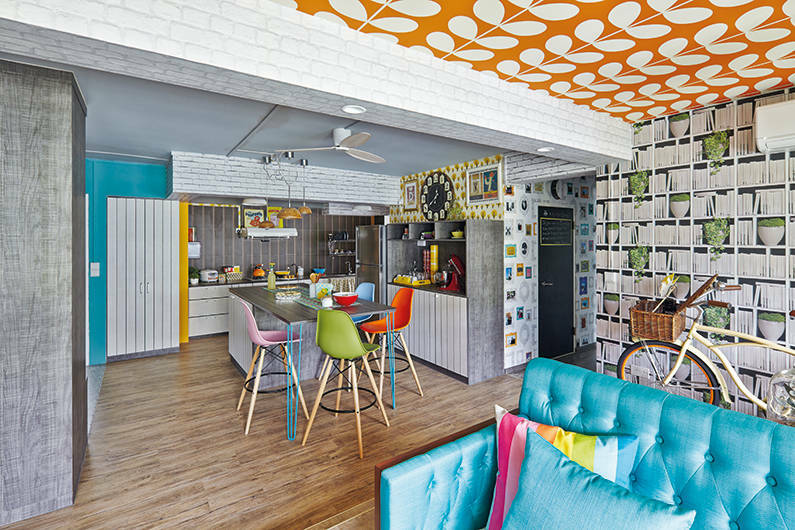 Yes, we all need more of them and these ingenious ideas will make the most of every available space. 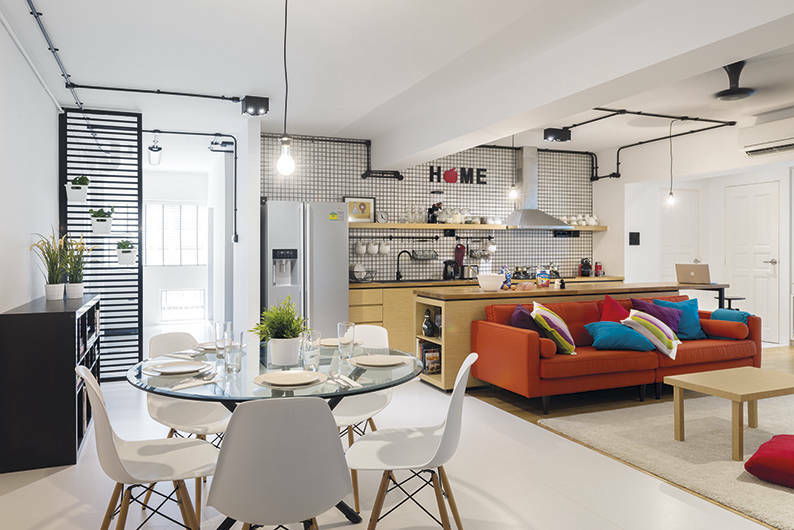 Looking for something different to furnish your home? 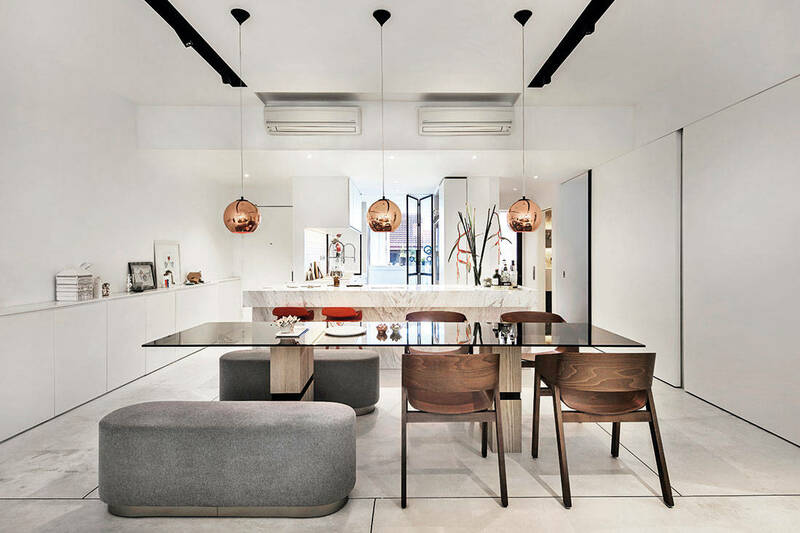 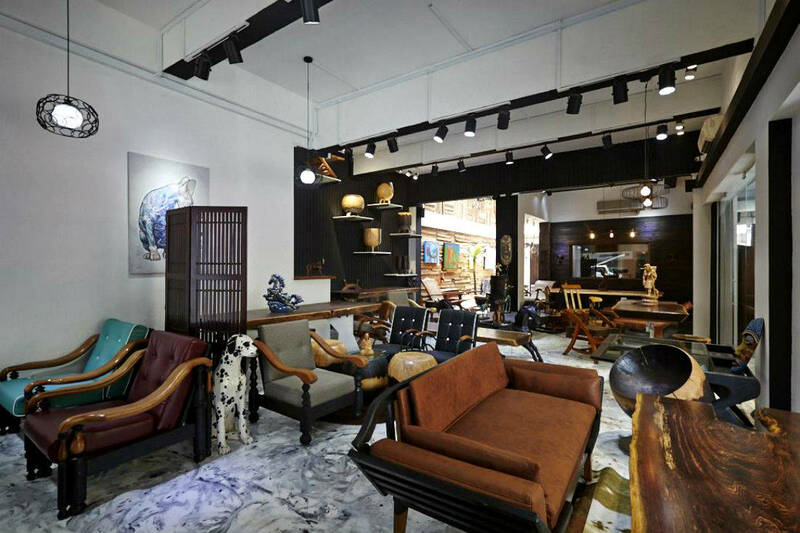 Check out this hidden gem for statement-making furniture.